View the entire table of contents for the Oct. 31, 2011 issue. Trust the Italians to have figured out a civilized happy hour. Come late afternoon across the country, plates of simple, well-executed small bites arrive on bar counters, to be consumed-gratuito-alongside a glass of wine or Italian drink. The dishes may vary in heft but the spirit is the same: high-quality finger foods that happily step back from center stage to play a supporting role in getting the evening's festivities started. Wine Spectator's Jennifer Fiedler explains. 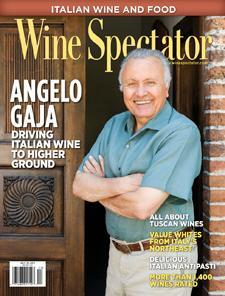 For the full article, check out the new issue of Wine Spectator, on newsstands October 4, 2011.